Adriaan Daniël Fokker was born on 17 August 1887 in Buitenzorg (Bogor), Java. He was the son of the president of the Netherlands Trading Society (Nederlandsche Handelmaatschappij) in Batavia (Jakarta) and a cousin of the aeroplane builder Anthony Fokker. In 1894 his family returned to the Netherlands. He studied mining technology at the University of Technology in Delft and physics at the University of Leiden with Hendrik Lorentz, where he earned his doctorate in 1913. He continued his studies with Albert Einstein, Ernest Rutherford and William Bragg. 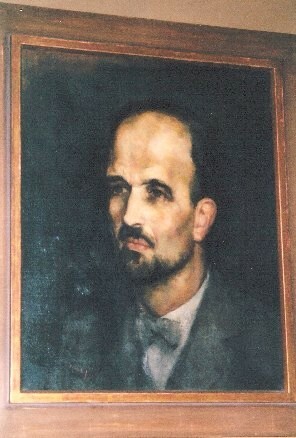 From 1914 to 1918 he taught at the University of Leiden. Afterwards he was successively appointed as physics teacher at the gymnasium of Delft and as Professor at the University of Technology in Delft (1923-1927). From 1927 he was involved with the Teylers Foundation in Haarlem and from 1928 until 1955 he was Professor of physics at the University of Leiden and curator of the physical cabinet of the Teylers Museum. 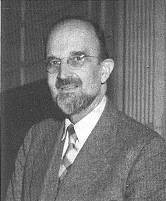 In the twenties and thirties he acquired an international reputation as a physicist. From 1921 to 1933 he was editor of Physica-Nederlandsch Tijdschrift voor Natuurkunde. In 1940 the twentienth volume of the Oeuvres complètes of the 17th-century Dutch physisist Christiaan Huygens was published, containing his involvements in music. Huygens' description of the 31-tone system inspired Fokker to begin studying music theory during the Second World War, when the University of Leiden was closed. The year 1942 was a turning point in his life. After then, he would devote the major part of his attention to music, but physics was not forgotten. In 1943 he designed a small organ to make playing in the Euler-Fokker genera possible. His music-theoretical researches resulted in 1945 in the book Rekenkundige bespiegeling der muziek (Arithmetical reflection on music). In 1951 the 31-tone organ was installed in Teyler's Museum in Haarlem, and called the Fokker-organ. In 1960 Professor Fokker founded the Stichting Nauwluisterendheid to be able to manage the organ and distribute the music. In the fifties and sixties Fokker gave many lectures in- and outside the country about the 31-tone system. Moreover he wrote articles about musical subjects and a musical autobiography: Neue Musik mit 31 Tönen (New music with 31 notes). Under the pseudonym Arie de Klein he wrote short compositions in a large number of different scales, see Music. He died on 24 September 1972 after thirty years of intense and uninterrupted musical activity. he has opened up the challenges of a rational new sound spectrum, which allows both a greater consonance and a greater dissonance, both a more authentic performance of earlier (pre-Bach) music and an expanded potential for the music of the future. 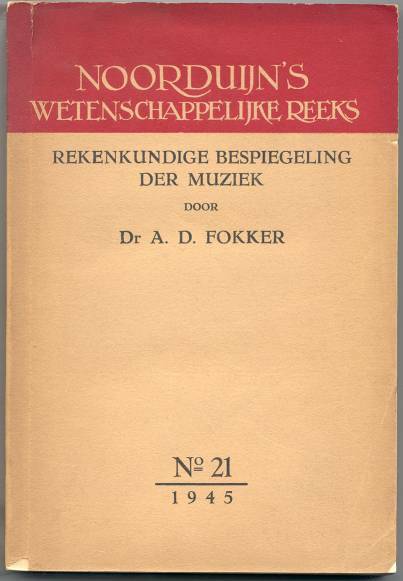 Read the article by Rudolf Rasch about Fokker's musical activities: Adriaan Daniël Fokker: Musicus tricesimoprimalis, 1988 (in Dutch).